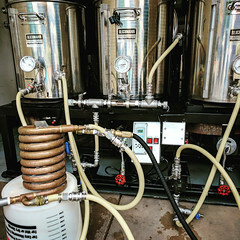 Coupon Description: Williams Brewing is currently running a promotion on GrainFather Connect electric home beer brewing systems! If you act now you can save $200 on a new Grain Father and get a free hop spider! If that was not good enough, the item also qualifies for the $6.99 flat rate shipping offer that they current have going which makes this the best deal you will find on a new Grain Father digital home brewery! If you are not familiar with the GrainFather, it is perhaps the most popular all in one all grain homebrew systems available. The Grainfather home brewery is a 110v compact self contained mashing, boiling, and cooling system for mashing 5 gallon batches of beer. 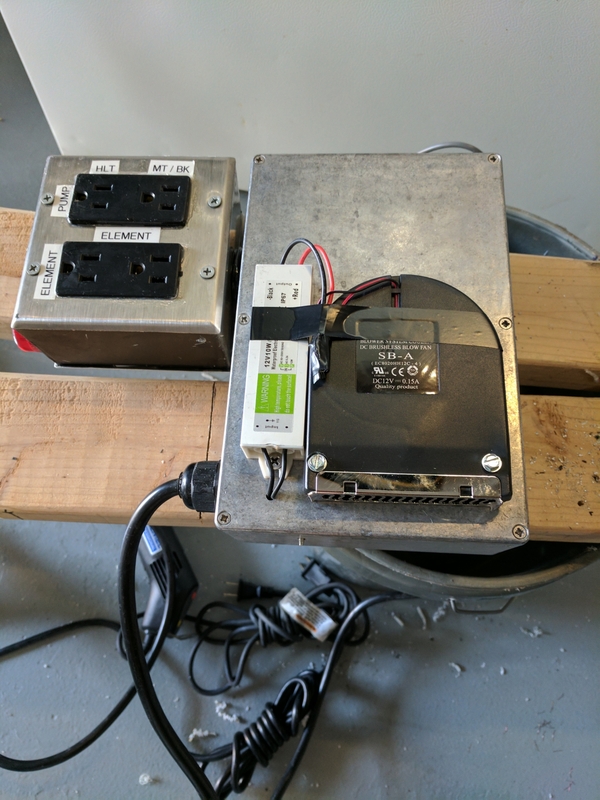 What is unique is that no special circuit, plug, or wiring is needed – this runs on any standard 110 volt 20 amp rated plug with a GFCI. 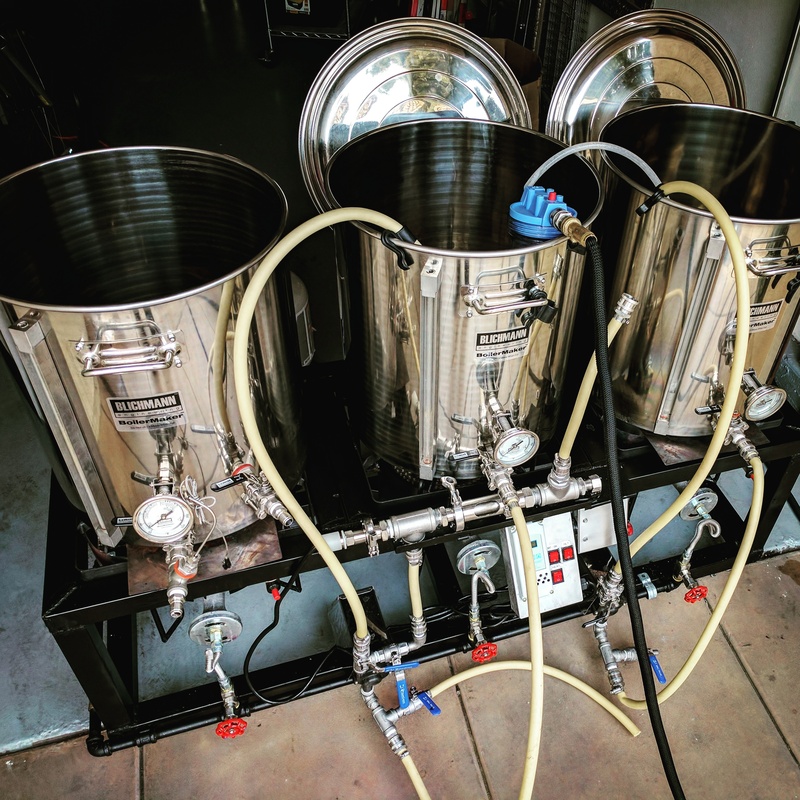 The Grain Father features a 6 watt recirculating pump, for the mashing stage, and a separate counter flow wort chiller that you insert into the Grain Father when it is time to cool the 5 gallon batch after the electric powered boil. The boil is handled by a 1600 watt heating element. Because the GrainFather features a RIMS system, you can easily do multiple temperature rest mashing if desired – just adjust the temperature upwards with the thermostat whenever you want to go to another temperature rest. In addition the manual thermostat control, the Grainfather Connect Bluetooth control is also included. After the mash cycle is done, you lift the grain basket partially so you can manually sparge by pouring water over the grain basket into the Grainfather below. You need to heat your own mash water, either by heating 5 gallons or so to boiling with the Grainfather before mashing and storing it in a stainless boiling pot, or heating when it is time to sparge with a separate brew pot on a stove. What we did was heat our sparge water in the Grainfather by getting it to boil in the Grain Father, then transferrring to a stainless boiling pot, and putting a lid on the pot. When the boil is over, you insert the included counter flow wort chiller to chill the wort which requires an external supply of cold water to run. The Grain Father home brewery comes with a 1 year warranty. Coupon Description: Right now at Williams Brewing, you can Save $10 On A New Genesis Homebrewing Fermenter and Cryo Hop Bundle! • Comes with an airlock! Better yet, for a limited time, you will get 5 one ounce packs of Cryo™ Hop Pellets in with the Genesis for only $69.99! That is a savings of $10. If you have not tried Cryo hops before, they are the best thing since crushed grains! Cryo hops have double the alpha acid and essential oils per ounce as regular pellets hops making them super potent! This cryo hop bundle includes some great hops too! Included in this bundle are 1 oz. of Citra, Simcoe, Cascade, Mosaic, and Ekanuot! Coupon Description: For the next two days you can save big on home brewing wort chillers at Williams Home Brewing Supplies. Just click the link and add any of their full priced homebrew wort chillers to your cart and the discount will automatically be applied in your cart, no need to add a WilliamsBrewing.com promo code at check out. This sale include the Keg King counterflow wort chillers and Williams Brewing selection of plate chillers and immersion home brewing wort chillers. For today is project I welded up a old decommissioned 5 gallon brewery keg and made myself a new home brewery stool with an adjustable height seat. I had bought a cheap stool for the base materials and cut it up to be used for parts. The items did not fit together perfectly so there was a good deal of cutting, grinding, welding and finishing. All in the project took about 3 hours but I am happy with the results. Having the ability to adjust the height on the seat comes in pretty handy depending on what project I am working on. 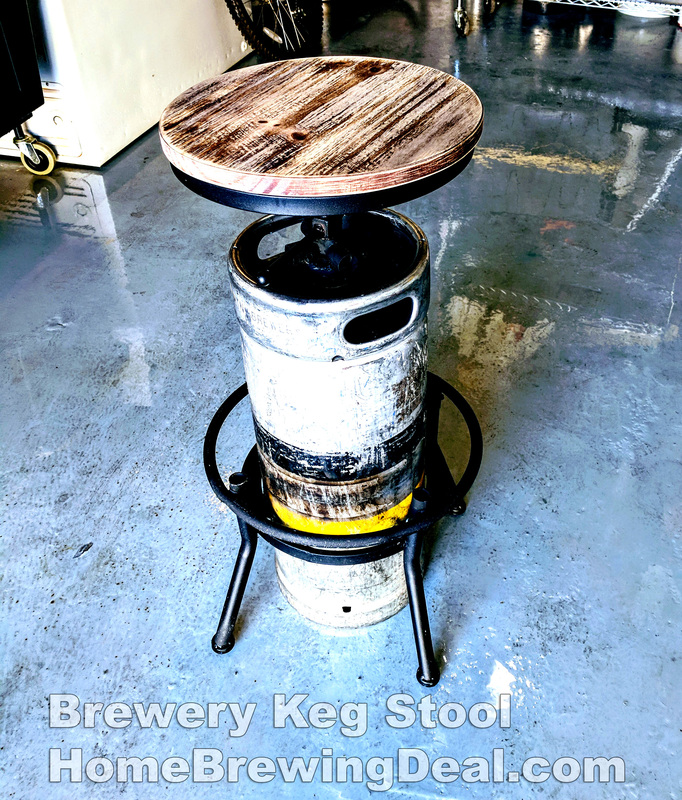 The additional legs around the base of the keg adds some stability to the stool in case one of my friends has had a few too many! 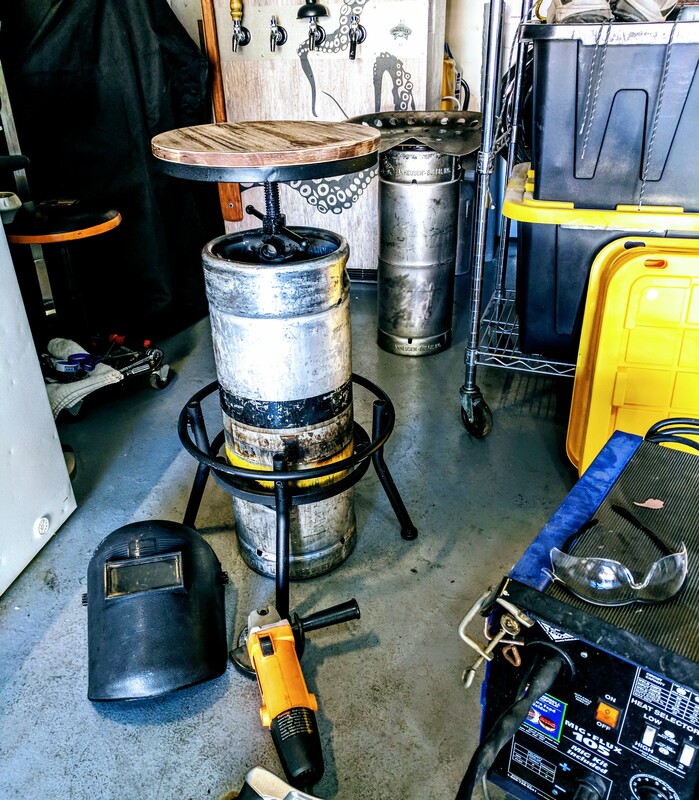 The tools that I used to make my brewery stool were a mig welder, grinder, hack saw / cut saw, wire brush, hammer and a little sand paper for finishing. 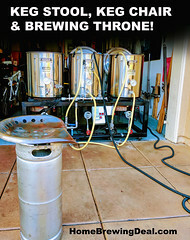 If you would like to make your own brewing throne, brewery stool, keg stool or keg seat and have any questions, please feel free to ask or leave a comment. I am always happy to help out! Coupon Description: For 2 days only, save 20% on stainless steel chugger and march homebrewing pumps! If you have been looking to purchase a new home brewing pump then this homebrew supply promo code can save you a bundle this Memorial Day weekend! 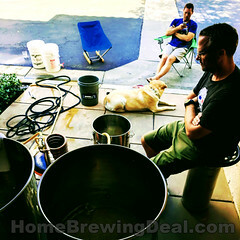 Click the link for all of the details on this limited time homebrewsupply.com coupon! Coupon Description: MoreBeer.com currently has a home brewing promo code that will save you $8 on one of their Stainless Steel Home Brewer Mash Paddles. 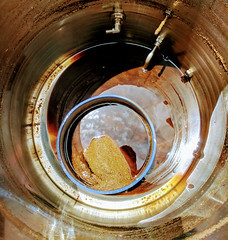 If you need a mash paddle strong enough for even the thickest mash then this one is for you. This homebrewers mash paddle is built from 100% stainless steel and has been drilled with ten 1/2” holes to allow your mash to pass through the paddle. This home brewing mash paddle is 36 inches long and can accommodate just about any home brewing setup! For additional information or to purchase a Cornical fermenter, click the following link. MoreBeer offers some of the best prices for Blichmann products like the Cornical and free shipping! Coupon Description: Digital home brewing is the way of the future and Blichmann is making their way in to the marketplace with yet another fantastic home brewing item. Introducing the Blichmann BrewVison! The Blichmann BrewVision wireless home brewing monitoring system is the new brewing assistant from Blichmann Engineering. The BrewVision allows you to track up to 7 sensors in your home brewing setup right from your iphone or ipad. Brew Vision lets you can set alarms and timers based on temperatures and the BrewVision app records all of your data so you can review to see how well you really hit those mash temps. The BrewVision homebrew monitoring system even integrates with BeerSmith home brewing software which allows you to download your recipes straight from the cloud. The intuitive BrewVision Home Brewing Monitoring app helps you focus on your brewing! Some of the functions of BrewVision include monitoring thermometers on a kettle, running timers, viewing recipe information. Blichmann’s BrewVision puts temperature information, timers, and recipe information into the palm of your hand and provides a fully interactive digital home brew session. The Blichmann Brew Vision home brewing monitoring systems uses bluetooth technology to help you do more and and put the power of BrewVision in the palms of your hands! BrewVison has an indoor range of about 25 feet and up to 100 feet line of sight range. It is also super accurate with a +/- 0.5F accuracy range, so you cab be confident your mash and sparge are on target! Blichmann has thought about everything with the BrewVision digital home brewing system. The battery life on this device is 100+ hours using 2 AAA batteries. That means that you can brew about 20 all grain home brewing batches and about 40 extract batches on just one set of batteries. Blichmann’s patent pending BrewVision transmitter and sensor features an exclusive sanitary nut that is easy to clean without removal. Installation is simple and secure. for brew day status to ensure you’re at your target temps. With the Brew Vision app based monitoring system, you will never miss target temps or hop additions again! The BrewVison Home Brewing App lets you monitor current temperatures and adjust targets. The in app alarm notifies you before reaching target, when out of range, and for boil additions. You even have all your recipe information at your fingertips with the BrewVision App! You can download recipes directly from BeerSmith cloud or manually enter them to sync with your brew day. Here are some of the features on Blichmann’s Brew Vision digital home brewing system. Click the link for additional information or to purchase a Blichmann BrewVision! Getting ready for the next batch of homebrew. Getting ready for the next batch of Homebrew. Cleaned up the Brewing rig and made a small modification to the controller changing out one of the buttons and heading in to the back to ensure that the electronics do not get too hot. Next step is brewing up a batch. I’m going to try my first attempt at a Vermont Style cloudy IPA. I will be sure to post the recipe if it works out.